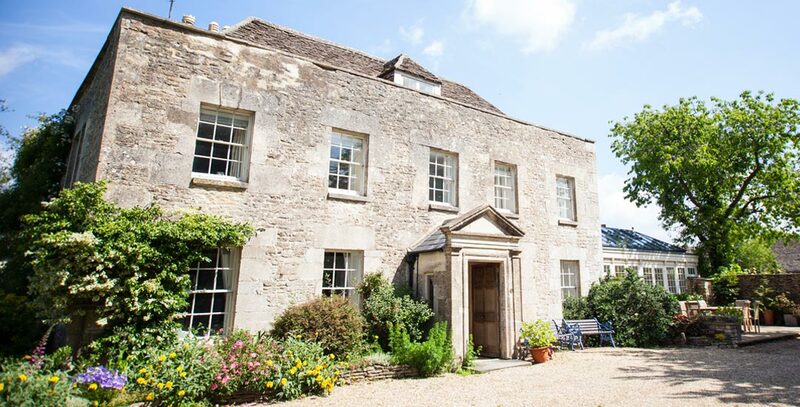 The Tythe House can be accessed from the B4014 (Tetbury to Malmesbury) by a private driveway which leads to the main entrance at the front of the property. We have tried to provide as much information as possible in this access statement but we are happy to answer further questions. 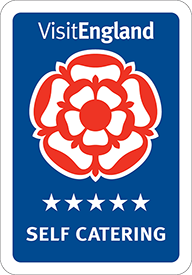 Bookings/enquiries can be made via email or telephone, as per our contact page. 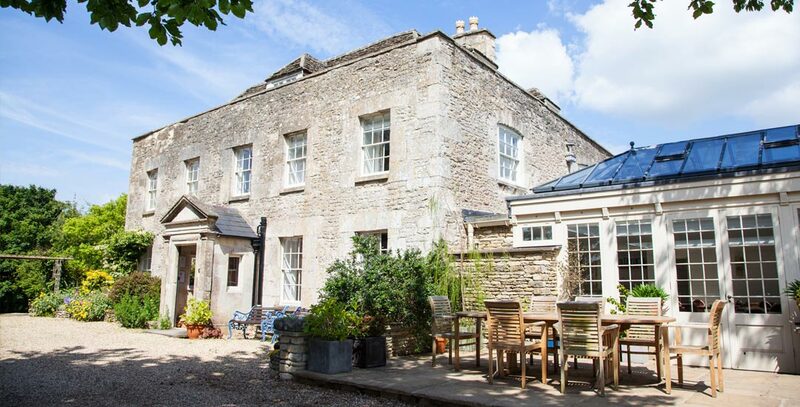 Nearest train station is Kemble 8 miles away. Taxis are best pre-booked before arrival. Nearest airport is Bristol, approximately 35 miles away. Birmingham or Cardiff are 80 miles and Heathrow 90 miles approximately. Helicopters are welcome to land with prior permission. Please note the Tythe House is Adults only. The house is approached by a gravel driveway leading to a wider courtyard in front of the house. The front of the house can accommodate a number of cars. There is additional car parking on the estate accessed via double electric gates to the side of the house. There is a service entrance to the rear of the property. The porch at the front of the house has a right hinged door 103.5cm wide and one low stone step of 4cm high in front of it. The entrance has a 93cm wide access. This leads in to a stone floor with matting and low door sill and then a further door 103.5cm wide (hinged on the right). This entrance has a 93cm access and more matting the other side. 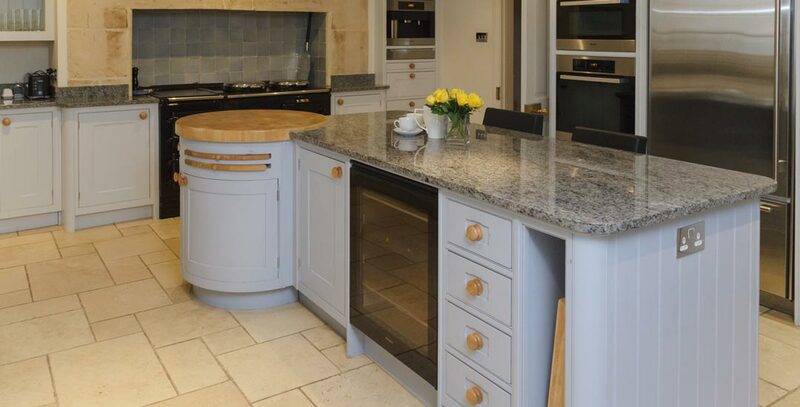 The 2nd door opens out on to a stone tiled floor with the living room and dining rooms doors either side of this. Corridor on ground level is 170cm wide (restricted by a console table and 2 chairs to 119cm). 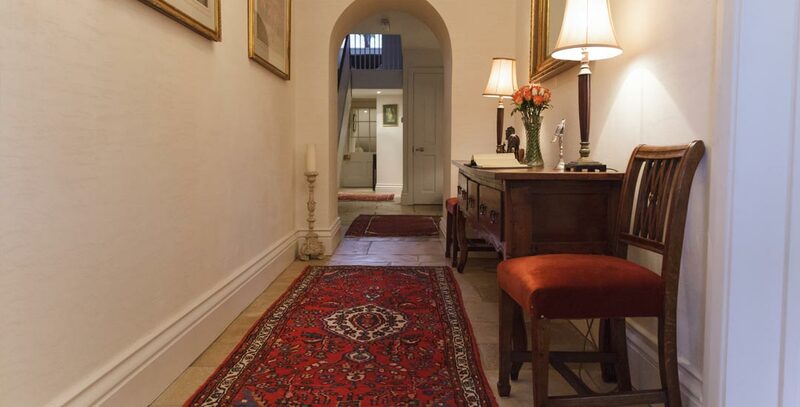 Stone flooring throughout corridor. Through an arch the corridor widens slightly with the kitchen door on the right and the TV Room on the left. There is a covered radiator on the left before the kitchen. The stairs leading to the first floor are just after the TV room door. The corridor continues leading to a downstairs WC, a bench and coat hanging area under the stairwell. This part of the corridor narrows to a maximum of 82cm. Cellar is accessed by steep stone stairs and a hand rail on one side. Curtained door leading out to Orangery, width 92cm. Currently additional. A dining table is central in the room measuring 8ft diameter. Covered radiators under all windows but no window seats. All window have shutters and curtains. 1 wooden chair with arms. Stone fireplace with stone hearth, fireguard in place. Space between sofa and fireplace seating 67cm at narrowest point. 42” TV with Sky, DVD player, CD/radio stereo with 4 speakers and compatible with MP3 player. 2 large sofa units (1 with chaise longue addition) plenty of cushions. Fireplace with stone hearth and leather fender. Covered radiator positioned under window with padded window seat. Coin operated laundry room situated approx 30 metres from the house. Accessed through automatic double gates. 2 large washing machines. One front loading and one top loading. Grass lawn, paved patio with wooden table seating 10, 2 wooden benches and 2 wooden chairs. 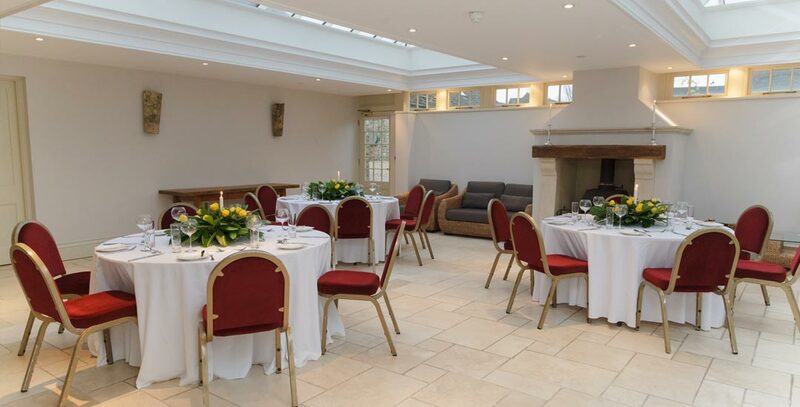 The orangery can be hired as a conference/meeting room, please contact us for more information. Accessed through kitchen, dining room or through French doors with 2 steps or near laundry area (small restricted access door with 2 steps). Outside access points both have two steps. Travertine stone floor, stone fireplace, windows 2 sides, large glass lanterns in ceiling allowing lots of natural daylight. First floor 4 double rooms, second floor in the eaves another 4 double bedrooms. 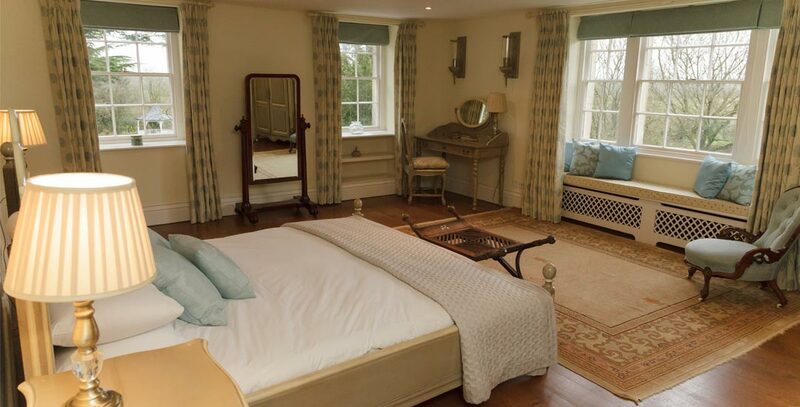 Every room has a tastefully furnished en-suite bathroom. Reached via staircase of 12 steps with L shaped landing halfway (access to 2nd floor) and 3 further steps up to the rooms. All steps are 18cm high (top step 24cm), 26cm deep and 85cm wide. Door width 76cm, restricted opening of 60cm due to angled wall. Bed Height 50cm, super king-size bed 180cm x 210cm. Plenty of space around the bed clear of furniture. Covered radiator under window with padded window seat. Door to en-suite bath, toilet and basin 76cm wide with small step of 4cm. Bath, height 65cm with hand held shower. Bed Height 60cm, 4ft6 bed, space either side of bed 60cm and 130cm. Door to en-suite shower, toilet and basin 72cm wide. Shower entrance 67cm, rim height 6cm, space inside shower 98cm x 75cm. Door width 84cm, step 9cm high on to wooden floorboards. Bed height 56cm, 4ft 6” bed, space either side of bed 40cm. En-suite shower, basin and toilet, door width 71cm. Shower entrance 67cm, rim height 11cm, space inside shower 98cm x 75cm. Door width 76cm open directly into en-suite bathroom with shower, basin and toilet. Entrance to bedroom width 84cm with small step 1cm. Bed height 84cm, 5ft king-size bed, space either side 94cm and 180cm. 2nd Floor bedrooms are accessed by steep stairs up in to the eaves of the house with low wooden ceiling beams, low level lighting, tight corners and limited space. The Eaves have a separate entrance via the rear. Entrance separate to the house at back of the property, door width 80cm on a door closer. Lighting on a timer switch, wooden flooring with LED lighting on 1 side of the steps, subdued wall lighting. 8 steps Height 24cm, depth 30cm, length 90cm, no handrail. Doorway 76cm with a step of 6cm leading to corridor. Accessed by a stairway of 16 narrow steps – 19cm high, 22cm deep and 83cm wide, handrail on left side. 1 step of 9cm at top of stairs leading to corridor. Wooden support beam on entering room restricting space, please mind your head! Wall mounted LCD TV with remote control, window shutters, full length mirror, upholstered chair. Door to en-suite shower, toilet and basin 75cm wide, step 2cm. Entrance shower 52cm (folding), rim height (step over 9cm), space inside 77cm x 68cm. Door width 82cm narrowing to an entrance of 77cm and a step of 4cm. Bed Height 57cm, space around bed 132cm and 56cm. Wall mounted LCD TV with remote control, window shutters, upholstered chair. Door to en-suite shower, toilet and basin 72cm wide, step 7cm. Toilet seat height 42cm, space either side of toilet 40cm and 42cm. Entrance shower 52cm (folding), rim height (step over 9cm), space inside 78cm x 73cm. Door width 80cm with small step of 4cm. Bed height 60cm, space around bed 76cm and 76cm. Door to en-suite shower, toilet and basin 72cm wide, step 8cm. Toilet seat height 44cm, space either side of toilet 24cm and 85cm. Bath height 53cm with shower over. Entry to bath 70cm restricted by shower screen. Door width 71cm, step of 8cm. Bed Height 60cm, space around bed 67cm and 62cm. Door to en-suite shower, toilet and basin 75cm wide, step 9cm. Toilet seat height 43cm, space either side of toilet 22cm and 21cm. Entrance shower 48cm (folding), rim height (step over 9cm), space inside 72cm x 70cm.